This invention is for a lawn mower blade that embodies 3 features into one blade. We are looking to outright sale our patent. 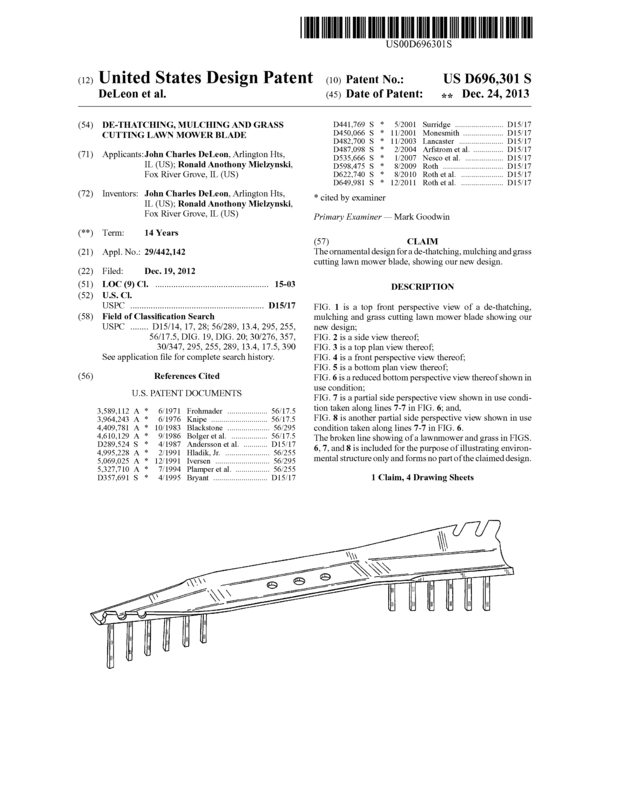 Page created at 2019-04-21 18:50:13, Patent Auction Time.